Ready to upgrade to hardwood floors? There are times when, as a homeowner, you are simply ready to go to the next level with your flooring, and nothing accomplishes this more than solid hardwood flooring. 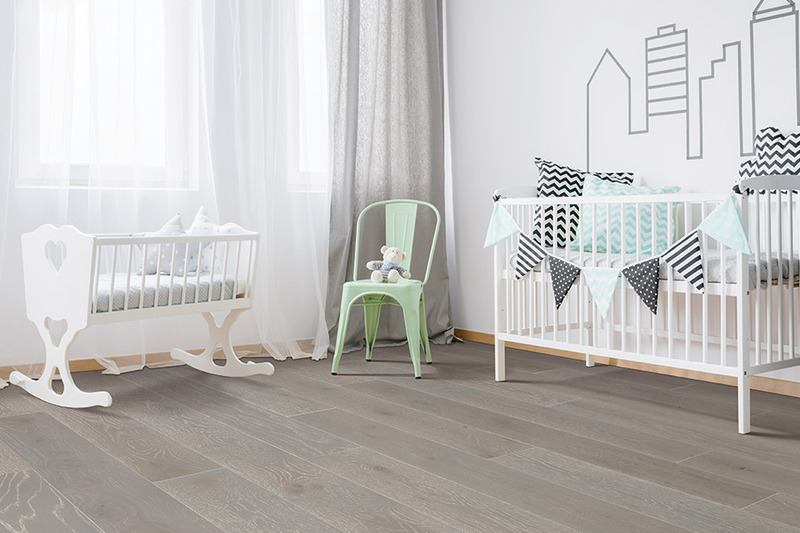 From stunning good looks and durability to a versatile functionality and amazing lifespan, it’s possible you’ve already found your next floor covering. The important part is finding all the qualities that will make this flooring work for you, from species to the perfect finish. At Shore Side Carpet & Flooring, we have more than 20 years of experience in flooring and we put that to work for all of our customers. We carry some of the highest quality floor coverings at the most affordable prices. Our professionally trained staff are in place from the showroom floor to installation to make sure your project turns out exactly the way you want it to. We have a showroom located in Stevensville, MD from where we service Stevensville, Annapolis, Ellicott City, Columbia, and Pasadena. We look forward to assisting you with your own unique flooring project soon. 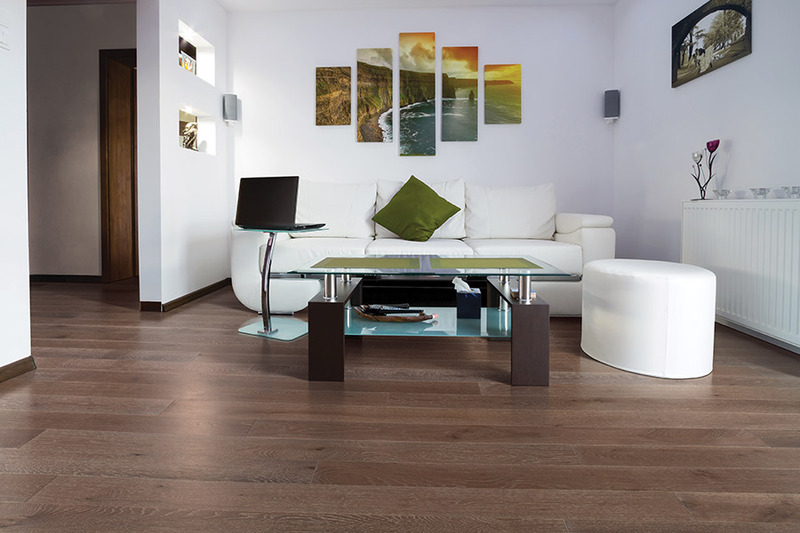 Your hardwood experience starts by choosing a wood species that works best with the activity level in your own home. More active homes necessitate a harder wood to make sure your floors aren’t prematurely worn. This can also make sure they make it to the fullness of their lifespan potential. There are plenty of species to choose from, so you won’t feel boxed into a certain style or look. You’ll be happy to browse the variety for the perfect type for your needs. Another choice you’ll have in choosing your own look for your hardwood floors is a specific finish type. A high-gloss finish is a very common one, and many people choose this one because it adds a level of elegance that’s hard to beat. However, other finish options include distressed, vintage, and hand scraped, each offering their own unique characteristics to your home. These finishes also help to hide signs of wear and tear and can even lengthen the already long lifespan. When it comes to installing hardwood flooring there are some important factors to consider. First of all, remember that this material can never be installed in below-grade spaces. For rooms that fit this description, ask about engineered flooring or some other medium that works well in the space. This material also has to acclimate to your specific environment before installation can even begin, which can take up to 72 hours. Hardwood flooring is by far one of the most popular and desired flooring types around. Notice how most people always refer to “upgrading to hardwood.” This is because real wood offers an aesthetic quality that is very hard to imitate. Rich wood grains offer elegance and class to any design. Whether for your home or your office, hardwood enhances the décor and lends sophistication to a space. When you want the best hardwood flooring options you can find, you need the experts at Shore Side Carpet & Flooring. 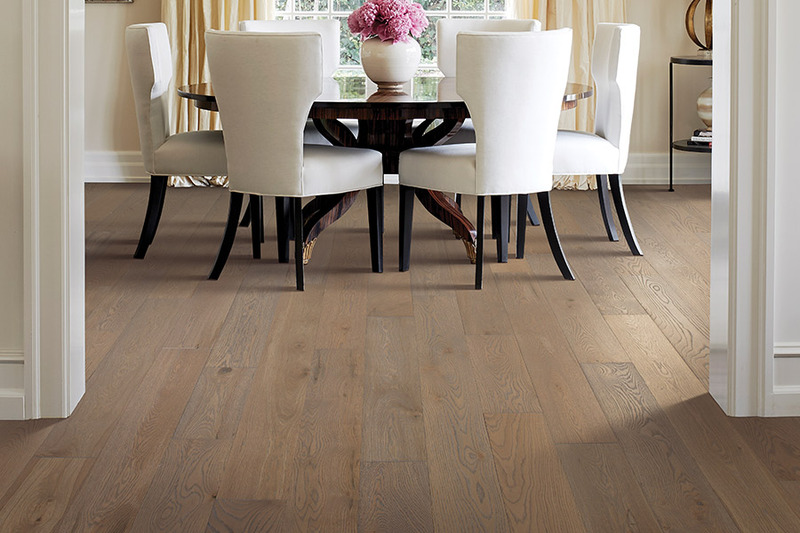 With two decades of flooring experience, we have access to the highest quality hardwood floors on the market. Our hardwood choices are simply gorgeous and the vast array of wood types allows for you to find the perfect hardwood floors for your space. We also offer the convenience of in-home or showroom shopping. Rather than have you come to a showroom, we have a design team that will travel to you with samples in hand, ready to help you discover what is right for your design. Being right there with the samples lets you see them next to your current decor, and the creative suggestions made by our designers will really allow you to make a great decision you are happy with. 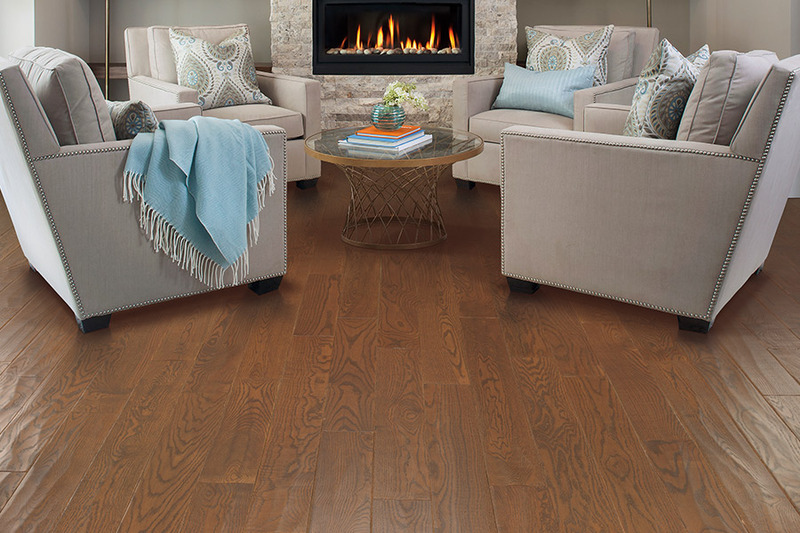 Once you’ve found the perfect hardwood option, our installers will quickly and efficiently install your new flooring. We strive to minimize interruption of your environment, so we keep a tidy and contained work area. 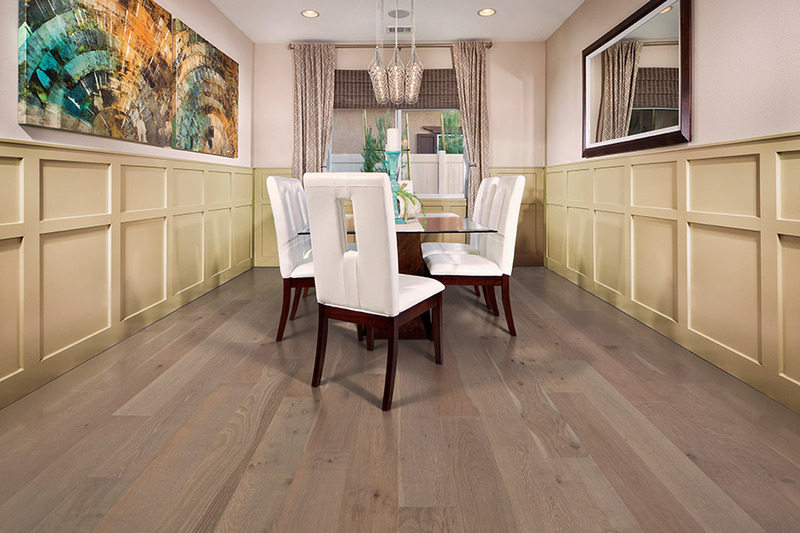 When we finish the job, we leave nothing but a stunning hardwood floor behind. That is why we are the number one choice in Maryland for hardwood floors. Hardwood flooring is one of the most popular floor surface covering materials, and has been for centuries. This is due to its versatility of function and design, as well as an inherent natural charm that gives each installation a unique personality and beauty. Softwood Flooring: This includes materials harvested from a variety of trees, most commonly Pine, Fir, and Cedar. These species tend to mature very quickly, and are readily abundant. However their rapid growth leads to the wood itself being less dense, and therefore less durable. This can make it susceptible to dents and scratches. It also makes it harder to refinish, as low spots can rapidly be created by sanding machines. Despite these drawbacks many people still choose to either expose, or preserve softwood flooring surfaces in their home, due to the beauty, and unique characteristics of the material. The material is also more eco-friendly because it can be locally sourced, and is rapidly renewable. Hardwood Flooring: The trees that hardwood materials are harvested from grow much slower, and end up being far denser, and more durable than softwood counterparts. This means that they last longer and require less maintenance. 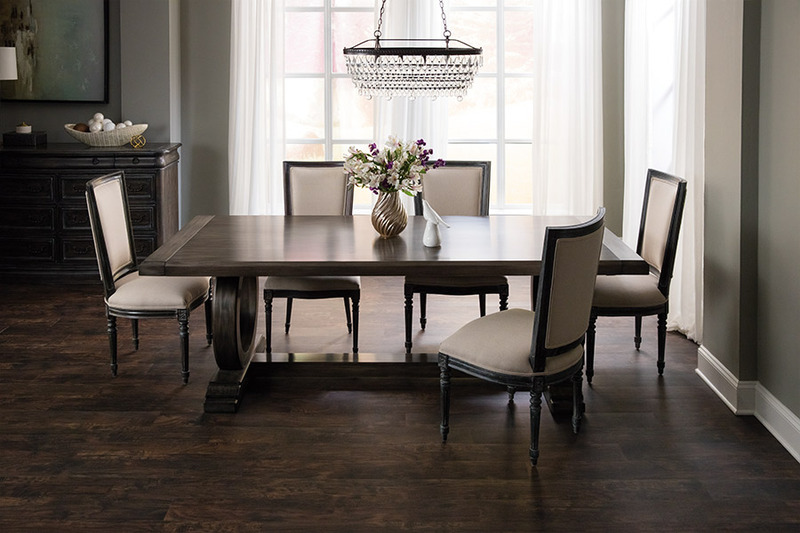 The actual durability of species will vary, and is rated by the National Oak Flooring Manufacturers Association (NOMFA) using the Wood Hardness Rating scale. Unique: Every plank, board, or strip used in a hardwood floor is a unique work of natural art, with it’s own individual patterns, and colors. This is compounded by the fact that there are dozens of different species of domestic, imported, common, and exotic hardwoods to choose from, each with their own particular grain, color, and characteristics. That ensures that each installation of this material is a one of a kind feature. Character: Over time wood is going to change. It will acquire subtle shadings of color, and pick up small scratches, nicks, and dents, which will collect in the surface to create a unique personality for your floor. That is the kind of character that cannot be bought, but can only be attained over the course of years. Range: $7.00 per square foot – $15.00 per square foot. As you can see, the price for different species of hardwood flooring can vary significantly. However, as always, you are going to get what you pay for. Reputable companies, selling quality, long lasting materials are going to charge more. Further, harder woods tend to take longer to grow, making them scarce and more expensive. While the initial investment for some of the more durable hardwood floors can be significant, you have to balance this against the fact that these materials will tend to last much longer than other flooring options. Even the softest woods will outlast carpet and cork, while a solid, well maintained oak floor can last for generations. At the low end of the price range you can purchase softwoods such as pine or cedar for even less than a dollar a square foot. Manufactured plywood sheets are going to be your least expensive option. While these may not be the richest or most high end materials, when well treated and maintained they can provide a space with a rustic beauty.